You have so many beautiful things and places to discover in Turkey that you must definitely make time to visit this amazing country. If you are a person who loves sports and want to know more about this area, then you must have a look at this article as we are going to talk about the traditional Turkish sports. This is something that you must surely not miss while you are in Turkey. 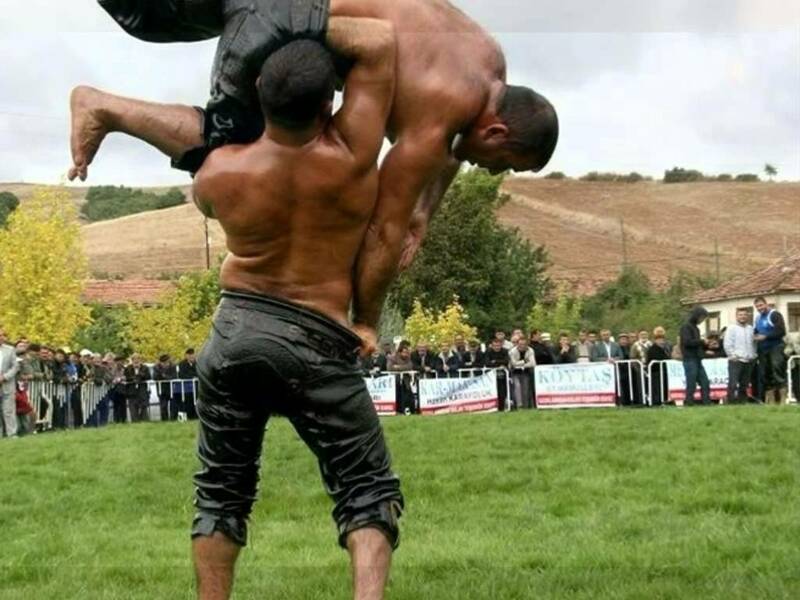 The oil wrestling is the Turkish national sport which is quite hard given the fact that the participants are smothered in oil. They wear black traditional costumes and this type of event is being held every year. This sport is actually recognized as an important part of UNESCO Cultural Heritage and it is one of the oldest sports manifestations worldwide, which has been continuing in Rumelia since 1357. Believe it or not, the camel wrestling sport is traditional in this country and the whole show is absolutely amazing. Therefore, if you want to experience something truly interesting and different in this country then make sure you attend a camel wrestling show. You can choose different cities such as Mugla, Aydin, Manisa, Balikesir, Denizli, and Antalya. This sport has its origins in the nomadic tribes and it is most popular especially in the Aegean Region. There is also a camel wrestling league which is being organized every year in the Mediterranean Region of Antalya and the Aegean Region. 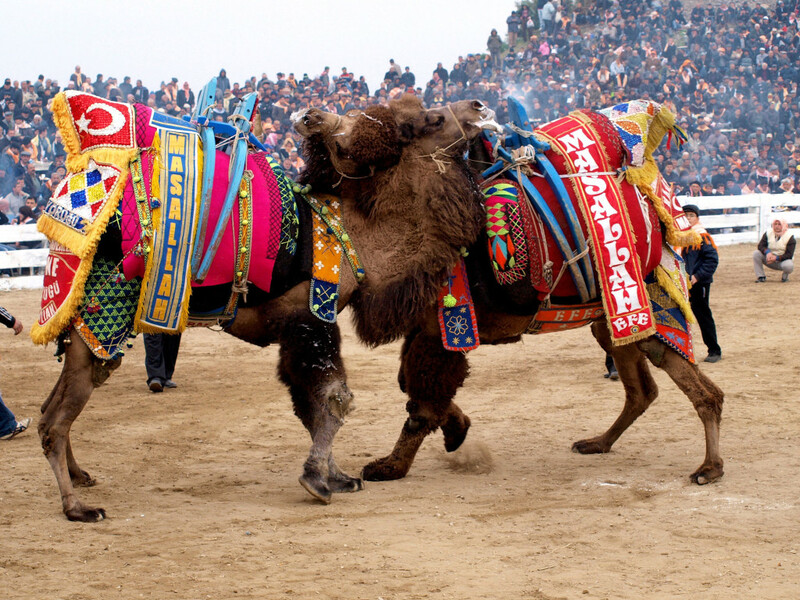 During this league, the contests are held under a very strict regulation in order to protect the welfare of the camels. The Game of Jerred became very popular and it demonstrates the bravery of the participants. The competitions are held in Istanbul at the Hippodrome. Even though it is very popular these days, it was actually banned by Sultan Mahmut II in 1826, who thought it was extremely dangerous. However, at the moment Turkish people absolutely love the Game of Jereed and they consider it a team event due to the fact that it involves two teams of horsemen. This game is performed on special days such as at weddings and not only, and it is commonly played by men. Even though it is played in only some regions of this country it still remains a very important part of Turkey which gathers every year visitors all over the world. This is without a doubt a very challenging sport and quite unique at the same time. Many people come to join this type of event, at which you can also watch Karakucak wrestling and amazing folk dances. In order to protect the bulls from injuries, there have been applied certain rules. If a weak bull withdraws from the arena that defeat is being accepted and the bull is actually taken out of the arena by those people who are in charge of this type of activity. All in all, if you ever visit Turkey we recommend you to attend the Kafkasor Bullfighting event which will surely be a memorable experience.